Beretta 9mm pistol 9-3/4" / 25 cms. long. 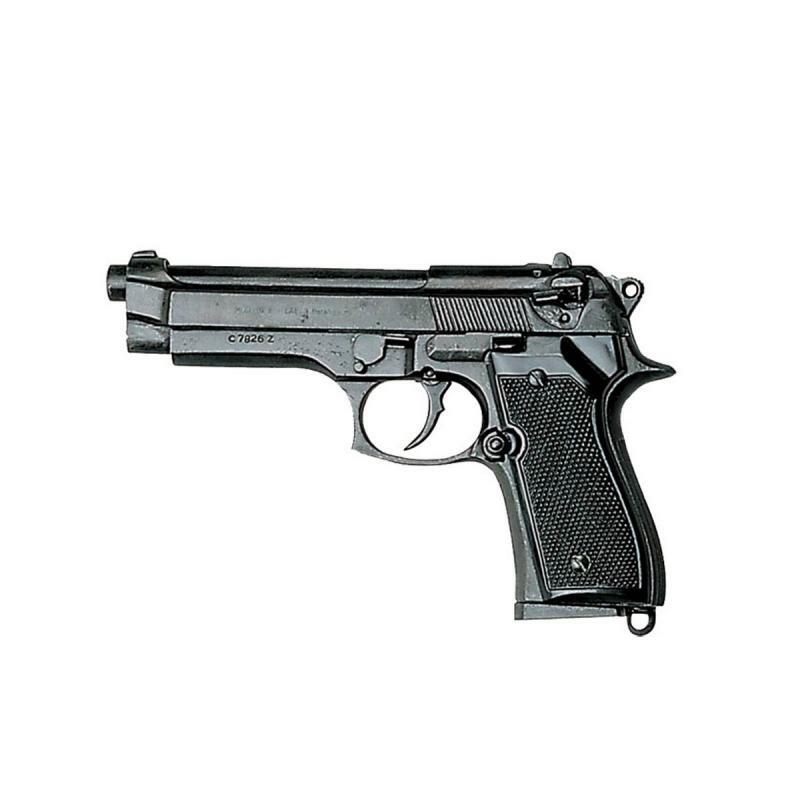 A non-firing replica of the Beretta 9mm original. This piece replicates the original in size, weight and appearance, and the parts function much like the original, even including an operating cartridge clip.